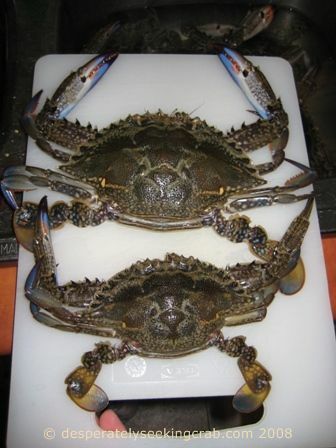 Here are the Blue Swimmer crabs, our biggest bounty yet! The bottom crab is legal sized and the top one is gigantic! 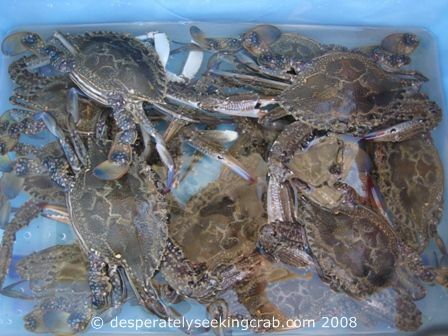 Yes, the title is about “raking” crabs…you haven’t read wrongly. 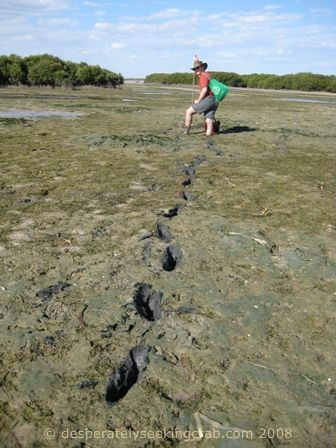 It is a South Australian tradition to go to the coast (often where mangroves grow) and trek through thick muddy sand armed with some rakes (specially designed to catch crabs) and an old baby bathtub (or whatever plastic tub that size) in tow to put the crabs into. This type of crab fishing is very different to catching them by merely throwing a crab net overboard from a city beach jetty and waiting every few minutes to see if any crabs have crawled in to eat your bait. Crab raking on the other hand is far more rewarding BUT is so damn tiring and dirty that we have to think twice about it before we rush and do it again, especially now that the cold weather has already started to settle in. We probably needed a few locals to help guide us and/or tell us beforehand what to except with crab raking. Trying to read fishing books or websites hardly gives any clues worthwhile so, armed with our crab rake and our bucket (we forgot our big tub), we decided to just head towards the beaches that are famed for crab raking. The first beach we got to, the water was so far away that you could barely see it – all you could see was sand because the tide was way out. So we headed north to try the next beach and it was a similar situation except it seemed like the water was nearer. There were three other cars parked on the sand so we just followed suit and started walking and walking and walking about 2 kilometres or so. Stupid me, I forgot to bring my sand shoes (reef walkers) so my Crocs were getting sucked into and stuck in the muddy sand. 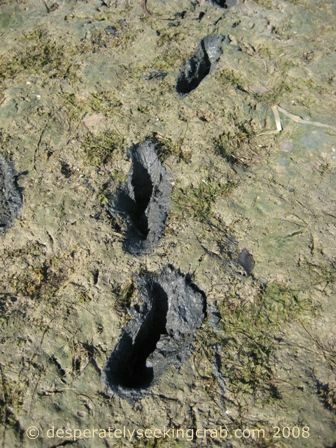 I then gave up walking in Crocs and decided that barefoot was the easiest way to walk in the nasty, smelly muddy sand. When we finally reached some water, it was only 6 to 10 inches deep and I couldn’t understand where we’d find crabs. So many times we questioned whether this was worth our time but two other small groups (very far away) were making lots of “woohoo, yeeha, yeeaahh” noises so we figured that they must be catching crabs. All of a sudden, we started seeing crabs walking around and then another. We couldn’t figure out where the rake but then soon realized that they hide and dig themselves under very flat sandy patches. In once sandy patch, we found over 15 crabs!! Legally, they have to measure 11cm from the base of their longest spine across the carapace and we found so many large crabs there. Our largest was 17.5cm and it was amazing. I even stepped on a crab by accident and thrust it deeper into the sand. It truly freaked me out and I screamed because of the unexpectedness of a crab being under my feet. 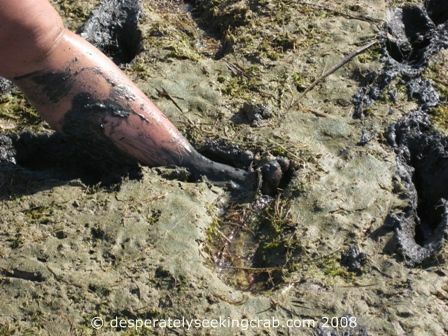 I then reached down and pulled the crab out of the depths of the mud and let that one go! 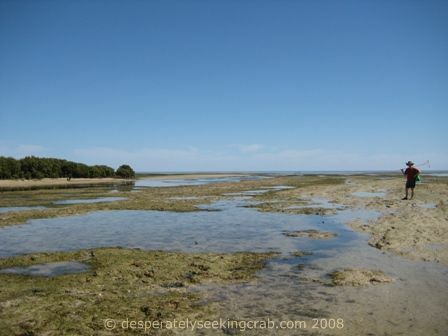 It is easy to get carried away with how far you are walking out to search for crabs and little do you know, you’ve walked another couple of kilometres out. Luckily my husband was the disciplined one and told me when it was time to go home. I’m glad he did that otherwise I am not sure I’d have had the strength to have walked all the way back to the car. The sand and constant rubbing on my legs started to take its toll on me. My legs were very raw and scratched up and I started to get sores that looked very disgusting. My husband was smart enough to bring his sand shoes so he was fine but I wasn’t so prepared. When we finally reached the car, my feet were all cut up and so were my legs and it was over 40C (104F) that day. Exhausted, we decided to drive to a beach near the city and take a dip in the sea to wash off all the mud and to cool down. As soon as we got home, I knocked on my neighbor’s door and asked to borrow a huge pot so that I could cook the crabs. I seasoned the water with garlic, chillies, bay leaf, peppercorns, salt and brought it to a boil and dropped all the crabs in. 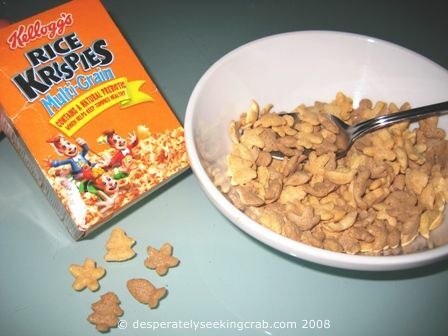 I shared them with a friend and my neighbors and froze a few for later but that night, my husband and I ate one crab each (the biggest ones) for dinner and they were very, very satisfying!! After all the pain, it was worth it…just.